Even though I love technology, I’ll be the first to admit that writing a review on wireless earphones didn’t strike me as high in terms of content sexiness. Especially since I already purchased the AUKEY Wireless Headphones, which I got earlier in the year to pair with the Apple Watch. Yet, for whatever reason, I just never got used to it. It just wasn’t that comfortable to me. At first glance, these Humixx headphones didn’t seem different from other headphones. It comes with a USB charging adapter, the headphones, and two pairs of earpiece covering (one larger and one smaller). One of the first things I noticed is that the earphones are actually curved at an angle. It immediately made me wonder if I would have a hard time keeping the earphones in my ear. It didn’t take me long to find out that they kept falling off, that is, until I realized that I was wearing them wrong. (I should have paid attention to the “L” and “R” indicators – something I’ve always ignored when it comes to headphones). After I switched out the earpiece covering, I found that the fit was surprisingly good. 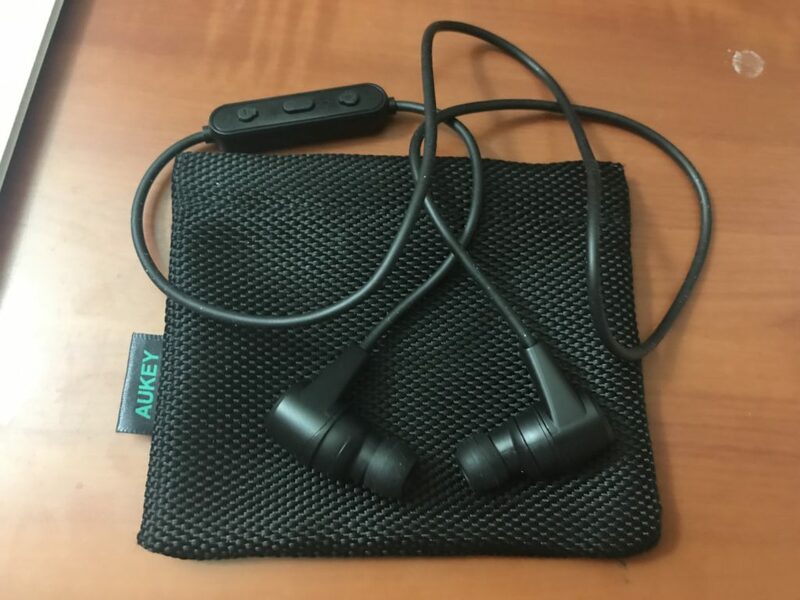 The fit was even more comfortable than my existing Aukey headphones. The control on the headset is simple and standard. You can power on/off the headphone, adjust the volume and even enable Siri voice control. While I know that the sound clarity is amazing with the AUKEY (caller on the other end could pick up even background noises – a little too sensitive? ), the sound quality is solid when I tested this pair of headphones with calls and music. Between these two pairs, I actually prefer the Humixx because of the curved earpiece. It actually provides a comfortable fit, without feeling like you have to stuff the entire earpiece in your ear. The only thing that could make this product better? Do you have a favorite brand of earphones that you would recommend? Sound off below. The post Headphones Review: Humixx Wireless Bluetooth Headphones appeared first on TravelUpdate.